Mike Hawthorne: NEW art for sale! Hey, art collectors! 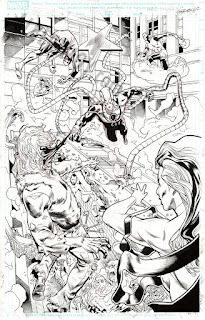 NEW Superior Octopus art is available over at my dealer's store! These are inked on the board by none other than Wade Von Grawbadger! Making of the Captain Marvel cover! New creator owned comic coming soon!